Collects Fantastic Four (1961) #164-175 And Annual #11, Marvel Two-In-One #20 and Annual #1, and material from Marvel Treasury Edition #11. The Crusader! The Thing cured! Luke Cage joins the FF! Hulk vs. the Thing and both of them vs. the FF! Galactus vs. the High Evolutionary! Time-traveling adventures with the Invaders! And the impossible return of an improbable guest-star! Collects Fantastic Four (1961) #176-191. The Fantastic Four continue their explorations into the impossible - when they confront none other than the Impossible Man! From a tale that rampages through the Marvel Bullpen and features the return of the Frightful Four, Impy will both torment and team up with our heroes in an attempt to make them a Fantastic Five! Then, Reed Richards is replaced by his evil Counter-Earth counterpart. It's a saga so epic in scope that it pulls in Thundra, Tigra, the Mad Thinker and Annihilus - as Reed battles for his life in the heart of the Negative Zone! With little time to rest, our heroes must then battle through the Eliminator, Salem's Seven, Klaw and the Molecule Man in a series of struggles so shocking that they may tear apart the FF forever! 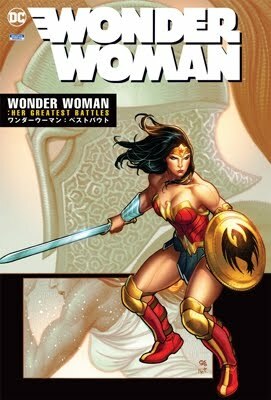 According to mycomicshop.com - Avengers Omnibus is out now. 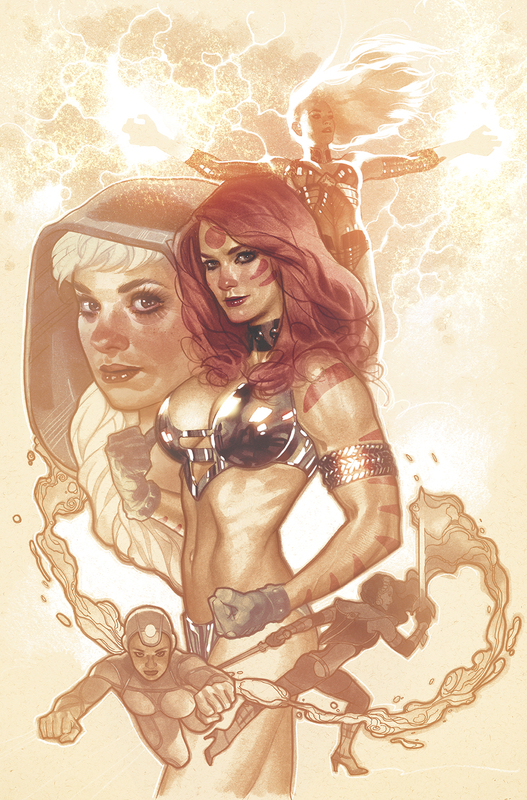 Also, Previews is listing Sirens #1 New York Cover Variant's shipping date as "TBD" (to be determined). Published March 04, 2015 by Marvel. Volume 1 - 1st printing. Collects Avengers (1998-2004 3rd Series) #1-23, #0 and #1 ROUGH CUT, Iron Man (1998-2004 3rd Series) #7, Captain America (1998-2002 3rd Series) #8, Quicksilver (1997-1998) #10, AVENGERS ANNUAL '98-'99, and Avengers Forever (1998) #1-12. Written by Kurt Busiek. Art by George Pérez and Carlos Pacheco. Fan-favorite creators Kurt Busiek and George Pérez craft a new era for Earth's Mightiest Heroes! The Avengers have always defended humanity against the forces of evil. When duty calls, these legendary champions answer, fighting valiantly for justice. But as the Avengers re-form in the wake of a life-changing event, they must face an array of foes like no other: Morgan Le Fay, the Squadron Supreme, the Kree, the Legion of the Unliving, the Thunderbolts, the Wrecking Crew...not to mention facing Kang and Immortus in the Destiny War! But when the merciless Ultron attacks, wiping out an entire nation in his hatred for mankind, the Avengers must live up to their name - if they can! Hardcover, 8-in. x 11-in., 1,184 pages, full color. Cover price $125.00. Published June 10, 2015 by Marvel. Volume 17 - 1st printing. Collects Fantastic Four (1961-1996 1st Series) #176-191. Cover by Jack Kirby. The Fantastic Four continue their explorations into the impossible - when they confront none other than the Impossible Man! From a tale that rampages through the Marvel Bullpen and features the return of the Frightful Four, Impy will both torment and team up with our heroes in an attempt to make them a Fantastic Five! Then, Reed Richards is replaced by his evil Counter-Earth counterpart. It's a saga so epic in scope that it pulls in Thundra, Tigra, the Mad Thinker and Annihilus - as Reed battles for his life in the heart of the Negative Zone! With little time to rest, our heroes must then battle through the Eliminator, Salem's Seven, Klaw and the Molecule Man in a series of struggles so shocking that they may tear apart the FF forever! Hardcover, 272 pages, full color. Cover price $75.00. Hughes' variant cover for George Pérez's Sirens #1! The Fantastic Four continue their explorations into the impossible — when they confront none other than the Impossible Man! From a tale that rampages through the Marvel Bullpen and features the return of the Frightful Four, Impy will both torment and team up with our heroes in an attempt to make them a Fantastic Five! Then, Reed Richards is replaced by his evil Counter-Earth counterpart. It’s a saga so epic in scope that it pulls in Thundra, Tigra, the Mad Thinker and Annihilus — as Reed battles for his life in the heart of the Negative Zone! With little time to rest, our heroes must then battle through the Eliminator, Salem’s Seven, Klaw and the Molecule Man in a series of struggles so shocking that they may tear apart the FF forever! Collecting FANTASTIC FOUR (1961) #176-191. The hulk has seen the future…and it is murder. Beloved Hulk writer Peter David brings readers two classic dystopian tales of earth-shaking impact. Both stories find the Hulk at the end of the Earth — and at the end of his rope! In “Future Imperfect,” the Hulk is the last super power in a post-apocalyptic Earth, ruling with an iron fist as the wicked Maestro. But summoned from the past by a small band of rebels is perhaps the only being who can stand against him! And in “The End,” the green-skinned titan walks alone through a wasted and barren land — and must confront the one who is easily his ultimate nemesis! These two tales of the end times surely rank among the classics in Marvel history! Collecting HULK: FUTURE IMPERFECT #1-2 and INCREDIBLE HULK: THE END.